Everything You Need to Know About Buying Bitcoin - The Maghreb Times ! Nowadays, almost everyone has heard of Bitcoin. In this article, we provide a step by step guide for buying and storing Bitcoins securely. Since Bitcoin has surged to record prices recently (reaching $2700 on Thursday), we have had more and more users asking us about Bitcoin. To answer some of these questions, we’re publishing this guest post from a Bitcoin expert from our community. Bitcoin prices have risen by a record amount in 2017. 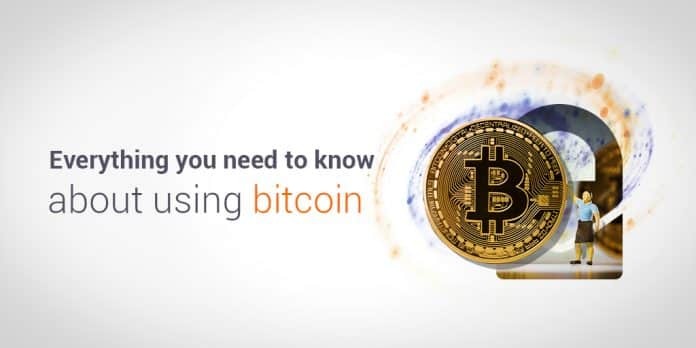 Here are the main points that you need to understand before buying Bitcoin. 1) Bitcoin is a form of digital money, protected by cryptography, which makes bitcoin transactions secure. That is why it is called cryptocurrency. 2) Bitcoin exists only in a digital form so that it is never printed, which means that bitcoin is a form of digital information. 3) Bitcoin is decentralized. Meaning there is no specific place where bitcoins are released and even no central server that runs the system. Bitcoin infrastructure is distributed among all users, meaning their devices run the system. Thus, you do not buy Bitcoins from any central bank. 4) The amount of bitcoins is limited. You can make an analogy with gold: the amount is also limited. In other words, compared to other currencies like the US dollar or Swiss Franc, the Bitcoin supply is limited, and cannot be increased. Therefore, Bitcoin generally does not have inflation. Inelastic supply is one of the reasons that Bitcoin prices have tended to rise over time (but there are many other factors which play a role in determining Bitcoin price). $100 in Bitcoins purchased 5 years ago would today be worth millions. 1) Decentralization, remember? This not only means that there is no central server, but also that there is no “Central Bank”. Bitcoins are produced through the process called mining. In the bitcoin environment mining means verifying all the transactions that take place within the system. As a reward for transaction validation, system “gives” miners bitcoins. Bitcoins can be mined by anyone, having the right computer equipment and expertise. Because Bitcoins are digital, they are “mined” digitally using computers. 2) Lower Fees. There is no specific bank or service like, for example PayPal, that conducts and controls all the transactions. Generally, this means that Bitcoin transaction fees are much much lower. This also means that there is very little extra costs involved in obtaining Bitcoin other than the cost of buying the Bitcoins themselves. 3) Transactions can be conducted quickly, no matter whether you send bitcoins to your neighbor, or to a business partner that is on the other side of the world. Generally, the longest time it takes for a Bitcoin purchase to be verified is about an hour, instead of days for traditional money transfers. 1) Since Bitcoin is a completely new and non-governmental international currency, there is still a lot of uncertainty regarding the legal status of Bitcoin. While bank deposits are often insured and protected by law, this type of protection doesn’t exist for Bitcoins that you purchase. 2) Bitcoin is intangible, it cannot be touched or seen like gold. This is a reason why some people are wary about buying Bitcoin, as you can never “see” your purchase. 3) It has a high volatility. Throughout its history, bitcoin price has experienced both dramatic ups and downs. So no one knows for sure whether it will follow an upward trend or not. The volatility also makes it hard to conduct business with it since Bitcoin prices often vary 10% or more per day. In other words, buying bitcoins is not without risk. New Bitcoin buyers typically have three questions: How to purchase Bitcoins, how to store them, and how to spend them. If you want to purchase bitcoins, the first thing you need to do is to create a wallet. Bitcoin wallet is a special program, where users store their private data necessary to manage their bitcoins and make bitcoin transactions. There are different types of wallets, the major are: an offline wallet (a software that you download on your PC, that keeps your bitcoins), an online wallet (websites that allow you to store bitcoins), a hardware wallet (removable media). For the beginning, you can start with an online wallet, because it is the easiest to use. Blockchain is one of the online wallets. It is time-tested and has been used by hundreds of thousands of people without major security issues. Moreover, it is perfect for beginners, because it is not overwhelmed with information and contains only the most important functionality. Xapo is another one and it’s gaining more and more popularity. They can even provide you with a debit card for wider usability of your Bitcoins. If you are storing large amounts if bitcoins however, a hardware wallet is recommended. It is also advisable to distribute your bitcoins over several wallets so you don’t have all your eggs in one basket. If you go on the Blockchain website the registration process is very easy, you only need to write your name and confirm the email. From this very moment your wallet is done and you can use it, but it is highly recommended to complete the Security Center section (it will take you only 5 minutes), and make your wallet better protected. For extra security, you might want to consider using a ProtonMail encrypted email account to open your online wallet account. In order to purchase bitcoins, you need to have an address – wallets provide you with one. An address is a randomly generated set of numbers and letters that you share with those you’re going to transact. When you already obtained a bitcoin wallet the next step is to buy bitcoins. If you are a newcomer to Bitcoin, Bitcoin exchanges are the best option. 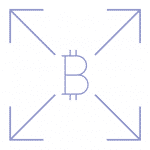 International Bitcoin exchanges include Coinbase, CEX.IO, Bitstamp, Poloniex and Kraken. There are many exchanges out there so it is important to pick a reputable one. 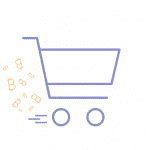 The process of buying bitcoins is easier than purchasing goods on the internet because you don’t need to provide a shipping address, just your bitcoin address. Purchasing Bitcoins from an exchange involves three steps: registration, input your card data, write your digital wallet address (be careful, a typo could send your Bitcoin to the wrong address, the best way is to copy/paste your bitcoin address right from your wallet). Registering using a ProtonMail email address is also a good idea for additional security. 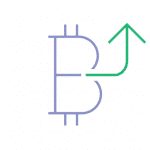 In addition to exchanges, there are many other options to purchase bitcoins. 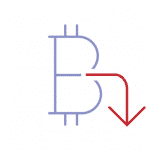 There are also some broker websites, providing a trading platform for people to exchange their bitcoins directly. ATMs is another option. Bitcoin ATMs are very similar to those maintained by banks and there are hundreds of them all over the world. You can also mine your own Bitcoin, but this is becoming more and more difficult for ordinary people to do. When bitcoins first appeared in the market, you could only find private individuals who were willing to sell their stuff for bitcoins. For instance, at the dawn of bitcoin history, one bitcoin enthusiast paid 10,000 bitcoins for a couple of pizzas. But now everything has changed and more and more companies accept bitcoins. For instance, you can buy a Dell laptop using bitcoins or any Microsoft products as well. You can even pay for ProtonMail upgrades with bitcoin. There are some Bitcoin wallets that provide mobile apps which make it even easier to spend your Bitcoins. The idea of bitcoin is clever and revolutionary. It’s a currency that is not influenced by anything except by supply and demand, and under the control of no government or organization. It belongs to no one specifically and could very well be the future of money. If this sounds exciting, now you know everything you need to become a Bitcoin user. Mary Ann Callahan is an UK based freelance journalist who specializes on Bitcoin-related topics. Currently, she writes for CEX.io, a multi-functional cryptocurrency exchange. She writes articles related to blockchain security, bitcoin purchase guides or bitcoin regulations in different countries. Previously, she worked for Boston Globe Media and holds a Master’s degree in Journalism from Columbia University. Want to keep your Bitcoins safe? Then use an encrypted email account to open your Bitcoin related online accounts. You can get a free secure email account from ProtonMail here.